We Americans love our candy. We spend $2.7 billion a year on candy at Halloween alone. There's something about retro candies that provoke a whiff of nostalgia. Maybe it's your favorite Pixy Stix sandwich scene from The Breakfast Club. Or you might enjoy memories of your own trick-or-treating from years ago. These five retro candies aren't 10 cents anymore, but they're still full of flavor! Read on to discover which ones are still available! In this health-conscious era, you'd think candy cigarettes might have quietly disappeared. Not so! 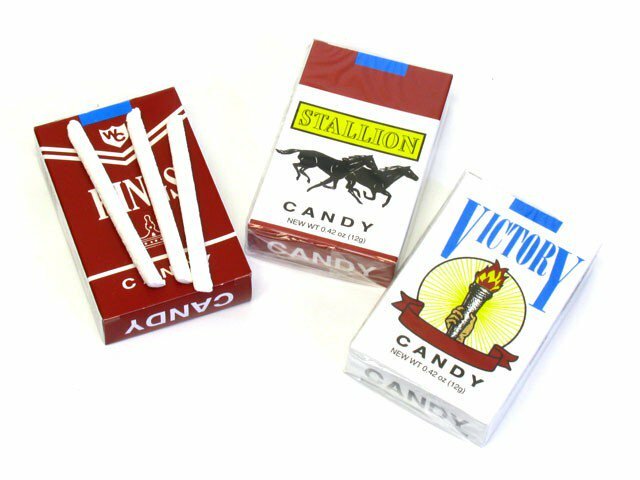 Some of the first candy cigarettes were sugar, chocolate, or bubblegum wrapped in paper. The state of North Dakota even banned them in 1953, although the ban was lifted in 1967. Freak out your non-smoking friends by 'eating' your cigarettes. Or pass them out when someone asks you for a smoke. If you're looking to quit smoking, they make a great alternative to keep your fingers busy. 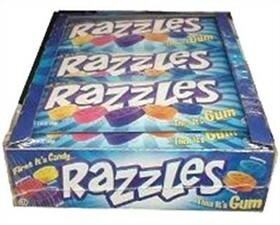 Razzles are a two-in-one kind of candy. First sold in 1966, the original Razzles only came in raspberry flavor. Their name came from a fictional flavor, Razzleberry. The company planned to introduce this flavor, but it fell through. Now they come in a range of fruit flavors, including tropical flavors and a sour lime. Start off enjoying the hard candy then marvel as it turns into gum. You'll be able to enjoy the fruity flavor longer. It's perfect if you want to make your 24-pack go further. Goetze's Candy Company opened in 1895, and in 1917, they perfected their recipe for soft caramel. The chewy sweets have a cream center. 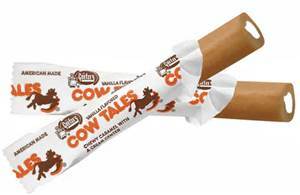 In 1984, they released a new form of the candy as Cow Tales, narrow caramel sticks with a cream center. Goetze's experimented with chocolate, caramel apple, and strawberry fillings. The original, and the best, flavor is still vanilla. Few retro candies have urban legends attached to them. Many believed that Little Mikey from the Life cereal commercials died after washing down six packets of Pop Rocks with soda. Despite being proved false, some still believe the legend! Pop Rocks even made it into horror film Urban Legend (1998). We're pleased to say they are totally safe - and totally delicious. First invented in 1912, the taffy was one of the first candies advertised on TV. Like many retro candies, it had a gimmick to help it stand out. For Turkish Taffy, you have to smack the taffy on a hard surface to break it into bite-sized pieces. But once you pop it into your mouth, it becomes soft and chewy. Closer to nougat in its recipe, it's available in chocolate, vanilla, banana, and strawberry. Just like the original Turkish Taffy! A traditional sweet Christmas delight for centuries! Originally made by hand to create the crimps, confectioners used the candy to decorate their shops for the holidays. It wasn’t until the 1800’s that mechanical crimpers were invented making the job easier, but still very labor intensive. As popularity for the candy rose around the 1940’s, a more efficient method was invented that allowed the candy to be made on a much larger scale. You can find ribbon candy in a wide variety of beautiful Christmas colors around the holidays here at Vidler’s! Treat Yourself to These Retro Candies! These candies were our friends throughout the twentieth century. 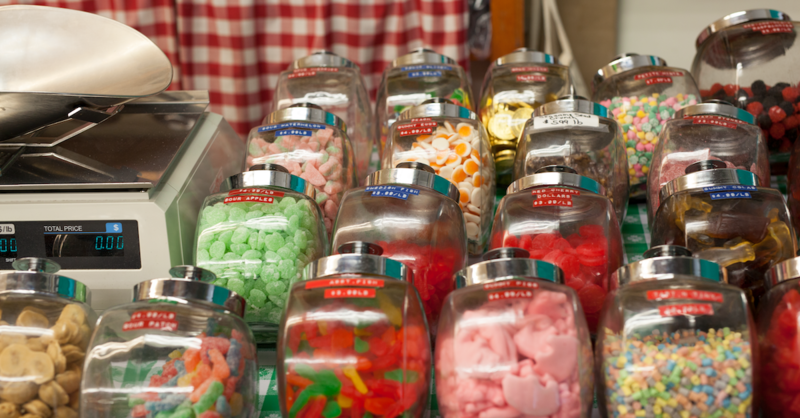 Thanks to nostalgia stores, they're still there for us when we need a sweet treat. If you'd like a trip down Memory Lane, or you just prefer candy the way it used to be, then pay a visit to Vidler's!